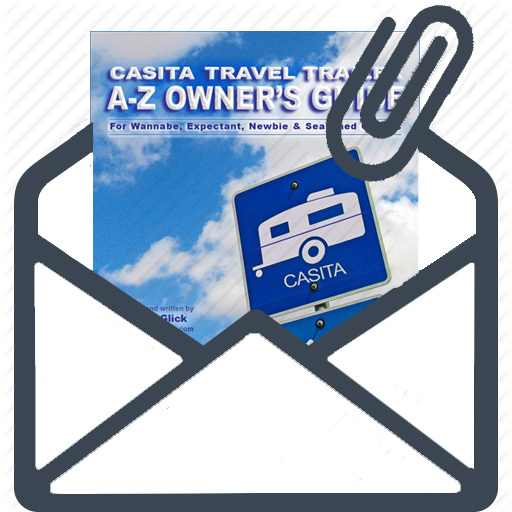 ​Are you an original A-Z Guide owner? on USB or CD ($15) or as a Printed Book ($46). and products shown are still worthy of inclusion. 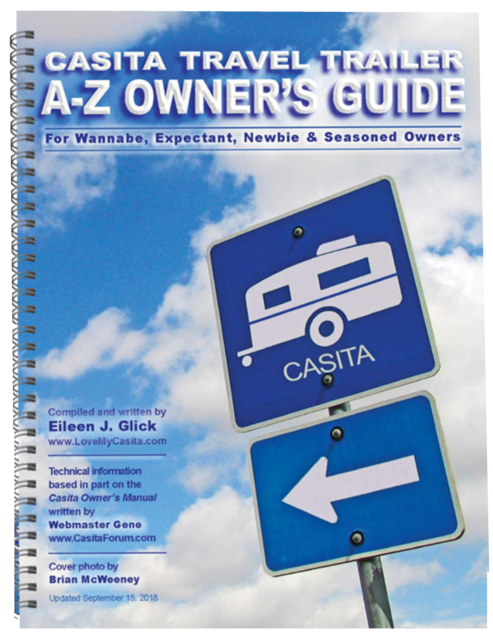 Having the most current information is important to the care and feeding of your Casita! $10.00 PDF via EMAIL - Complete PDF eBook, sent via attachment. Please allow 24 hours for your Guide to be delivered. $15.00 PDF on USB or CD - Complete eBook PDF, sent via USPS. Price includes shipping. Available to U.S. residents only. Please allow 10 days for delivery. $46.00 PRINTED BOOK - Complete book, 8.5" x 11", sent via USPS. version for all of your electronic devices. or on the back of your CD case. WITH PAYPAL, try another web browser. for Order Form and mailing instructions. WANT TO TRANSFER THE GUIDE ONTO YOUR iPAD, KINDLE or OTHER MOBILE DEVICE? WANT THE GUIDE IN ANOTHER FORMAT? The A-Z Guide is updated annually with minor tweaks throughout the year. WHAT'S CHANGED? WANT THE GUIDE IN ANOTHER FORMAT?